A helical pier is a foundation pier or pile made of steel that contains helices just like the thread of a screw. It is driven into the soil, to depths of the foundation by use of a hydraulic motor. 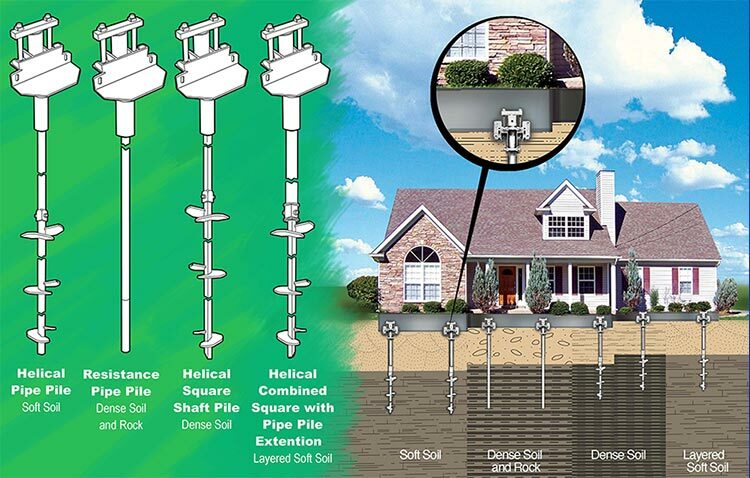 Helical piers are used to support structures especially where soil conditions are challenging, making it hard to set up a traditional foundation system. Instead of expensive large excavations, they thread deep into the ground. They are also used to repair existing foundations that have problems such as cracks or where constructed soils are weak. 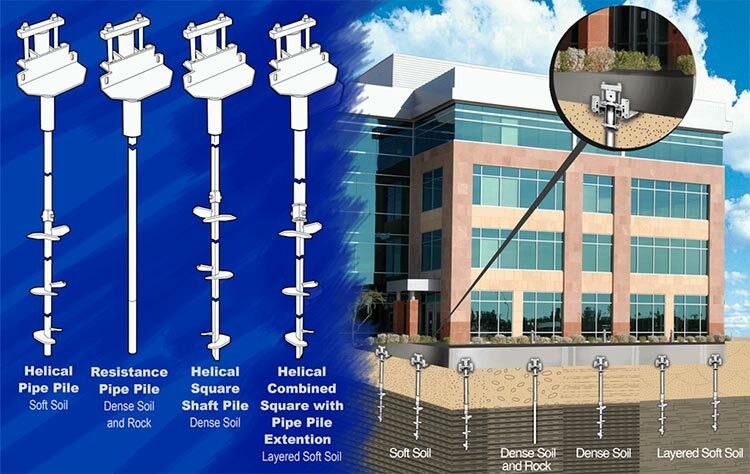 Helical piers minimize time spent installing a foundation and causes little disturbance to the soil. They transfer the weight of the structure to soils deep into the earth that bear the load. There are no spoils to remove after the installation of Helical Piers since they thread into the soil.